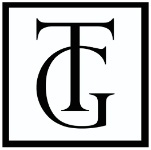 Welcome to Turnwright Gallery's Online Store. or go on, have some fun, the looney liberal in your family! Limbaugh Letter commemorative cover paintings as reproductions. the unframed print or the matted and framed print.